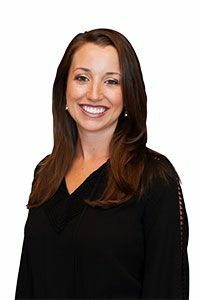 Ashley Dubois, a native of the Emerald Coast, is passionate about serving the community at both the Destin and Panama City Beach Centers for Cosmetic and Family Dentistry. She obtained a BS degree in Microbiology and Cell Science from University of Florida and a Masters degree in Medical Sciences from University of South Florida. Dr. Dubois graduated with her Doctor of Dental Surgery degree from the prestigious New York University in Manhattan, New York. During her senior year at NYU, she completed an Honors Clinical Concentration program in Aesthetic Dentistry. She was awarded the “Honorable Esthetic Achievement Poster Students Award” for the best overall case completed by a senior dental student and was afforded the opportunity to present her work at the 2015 International Poster Competition in San Francisco, CA hosted by the American Academy of Cosmetic Dentistry. Upon graduation, Dr. Dubois was also awarded the Student Award of Merit for outstanding achievement in the pursuit of excellence in undergraduate study of Esthetic Dentistry by the American Academy of Esthetic Dentistry. Dr. Dubois is passionate about community service and has organized several outreach events throughout Florida and New York City focusing on emergency and preventative dental services to underserved populations, including oral hygiene education for children. In 2014, she was selected by the NYU Henry Schein Cares Global Student Outreach Program to provide dental care in Manta, Ecuador. She was honored to serve the Manta natives by providing fillings, emergency extractions, root canal therapy and pediatric preventative procedures. After graduating from NYU, Dr. Dubois had the privilege to serve America’s Veterans at the Orlando VA Medical Center through an Advanced Education in General Dentistry residency program. During her residency, she received extensive training in dental implant surgery and restoration, periodontal surgery, and prosthodontics. She obtained over 250 hours of continuing education and is actively pursuing fellowship in the Academy of General Dentistry. Dr. Dubois is a Fellow of The International Congress of Oral Implantologists, the largest dental implant education organization worldwide. Dr. Dubois strives to provide her patients with the highest level of care while utilizing the latest techniques and technology in dentistry. She is currently furthering her dental education with the distinguished Dawson Academy for advanced dental study. She maintains professional membership in several accredited and respected organizations including the International Congress of Oral Implantologists American Academy of Cosmetic Dentistry, Academy of General Dentistry, American Dental Association, and Florida Dental Association. When Dr. Dubois is not helping patients achieve healthy, beautiful smiles, she is happiest in the company of her family. She and her husband, Dr. Jon Barbee, reside in Destin with their daughter, Olivia, and hound dog, Louie. She is a big fan of spending time on the water, fitness classes and the performing arts. Dr. Dubois looks forward to meeting you at The Center for Cosmetic and Family Dentistry.